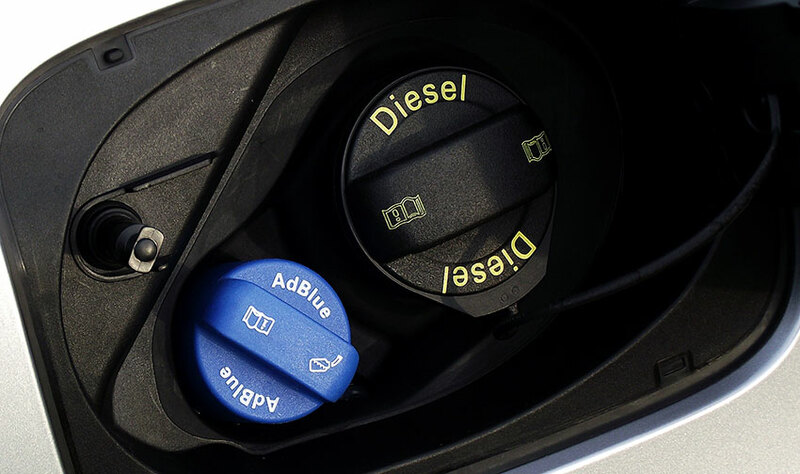 What is AdBlue and why does it need to be refilled? Unsure about AdBlue? Consult our handy guide and top up your knowledge. If you’re a diesel driver, we need to talk about AdBlue. In recent years, it's been increasingly common for diesel cars to be equipped with selective catalytic reduction, a technology designed to drive down harmful emissions like nitrogen oxide and nitrogen dioxide. Now for the science bit. AdBlue can eradicate noxious gases emitted by your diesel engine. It works by feeding, drop by drop, into the exhaust, where it reacts with heat and harmful emissions to create ammonia. This catalyses a reaction that breaks down chemical compounds like NOx into altogether-less-ominous nitrogen and water. Still with us? How do I know if my car needs AdBlue? When you buy a new diesel car, the salesperson should let you know if you need AdBlue or not. If you’re unsure, check your manufacturer’s handbook. Locating the top-up cap can be a bit trickier, it’s usually near the fuel cap, but it could be under your car’s bonnet or even in the boot. Wherever it is, it’s most likely blue in colour, and will have ‘AdBlue’ written on it… unsurprisingly. Just don’t get the bottle mixed up with your screenwash, whatever you do. De-ionised water, principally. And urea. If that sounds familiar, you probably did Biology at school. It’s the substance that makes urine yellow, and indicates how well your kidneys are functioning. Don’t worry, the kind you put in your car is perfectly hygienic, and made in a lab (not a lavatory). Among its many talents is the power to eradicate pollutants… including nitrogen oxide. While your AdBlue will be topped up for you when you bring your car in for a service, if you rack up a lot of miles, the warning light may come on. There’s no need to be alarmed by this – it’s really easy to refill AdBlue at home. You can buy it from almost anywhere you’d expect to buy engine oil. The size of your AdBlue tank will vary depending on the make and model of car you drive, so your best bet is to monitor use carefully via your car’s dashboard warnings. Just don’t leave it too late, or your car may refuse to start. Still have questions? Our friendly, expert service advisors can help. Schedule a visit with your local Service department today.